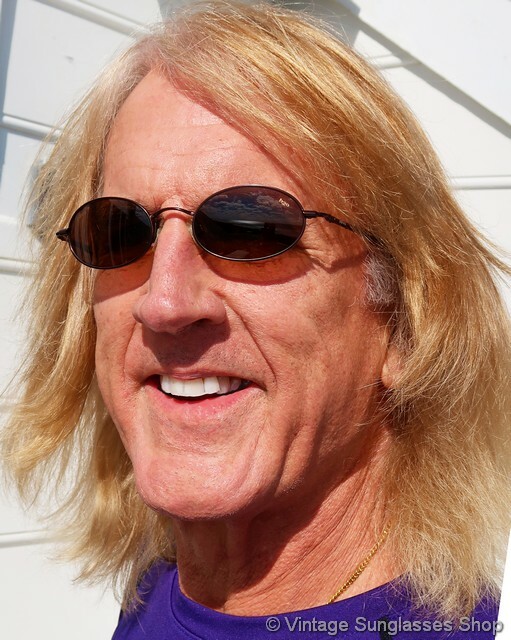 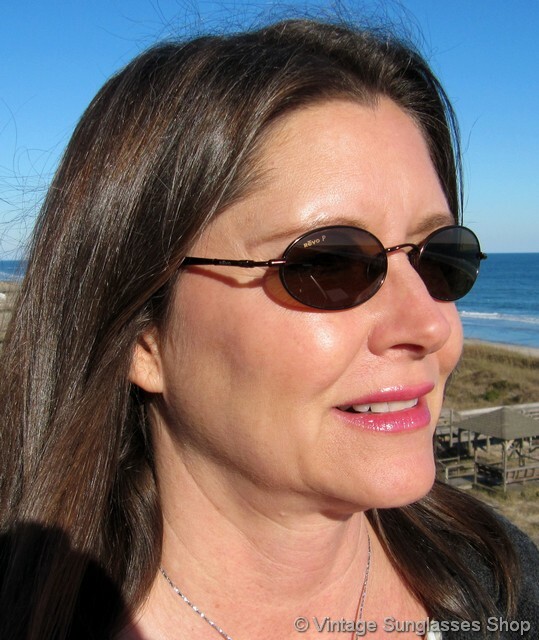 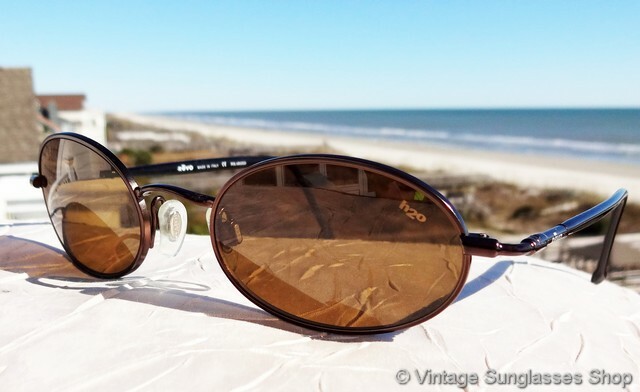 1 Vintage Revo 3018 081 S61 sunglasses feature a sleek, elegant frame with uniquely designed exposed hinges coupled with Revo brown H20 polarized lenses - a high performance look equally at home at the sports event or at the country club. 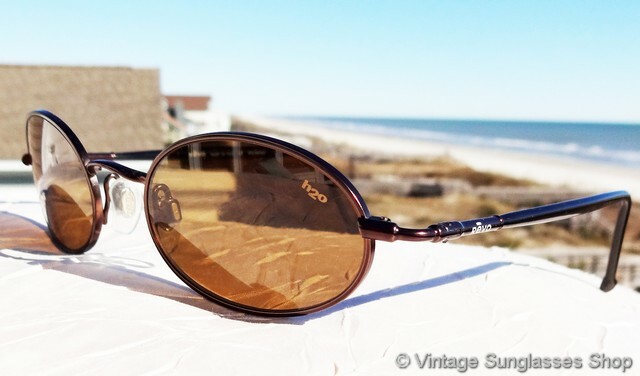 The copper hinges of Revo 3018 sunglasses are really striking, and it's form plus function when paired with these amber Revo H20 polarized lenses. 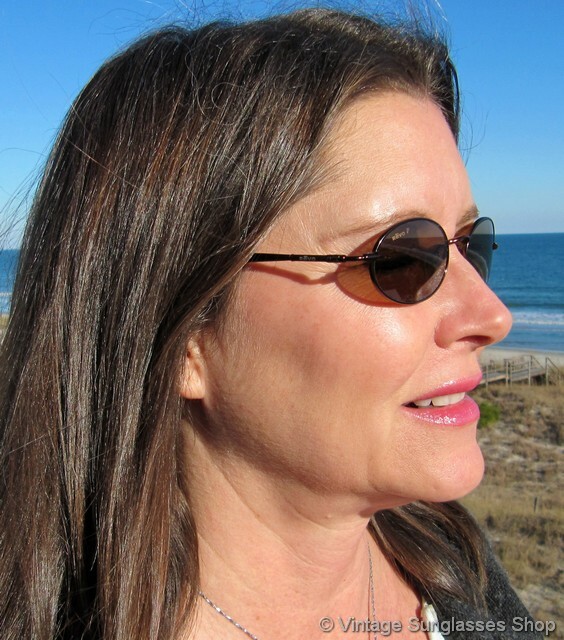 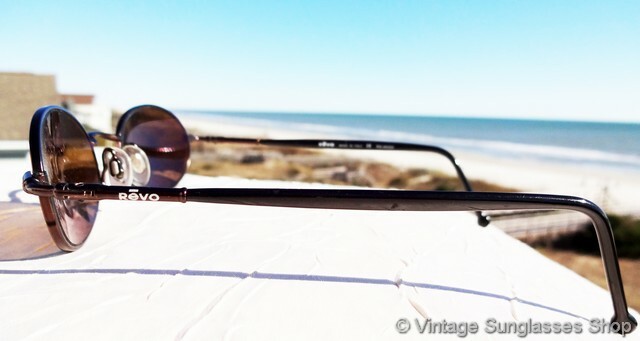 The unisex Revo 3018 frame measures approximately 5.25" temple to temple, and the lenses measure approximately 1.875" x 1.125" at the widest points with left lens laser etched Revo P and right lens laser etched H20 to indicate Revo's advanced polarization. 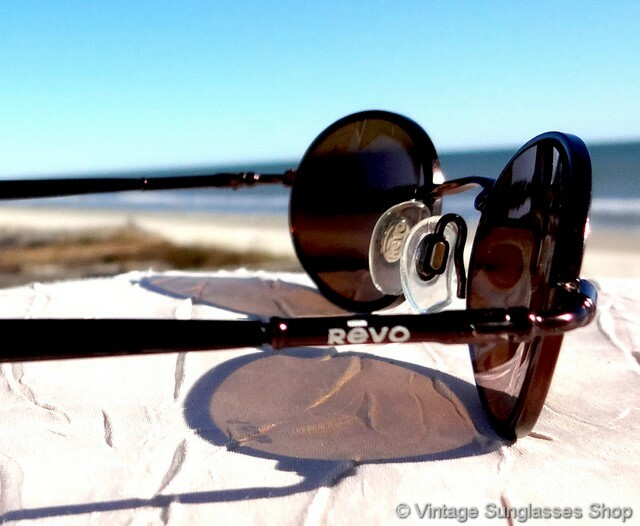 You'll find the Revo logo embossed on the exterior of both ear stems at the hinges, and the inside of one stem is marked Revo Made in Italy CE Polarized while the inside of the other stem is marked 3018 081 S/61 49  20 135. 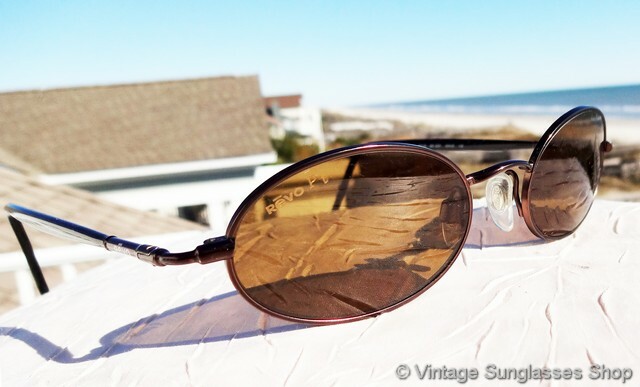 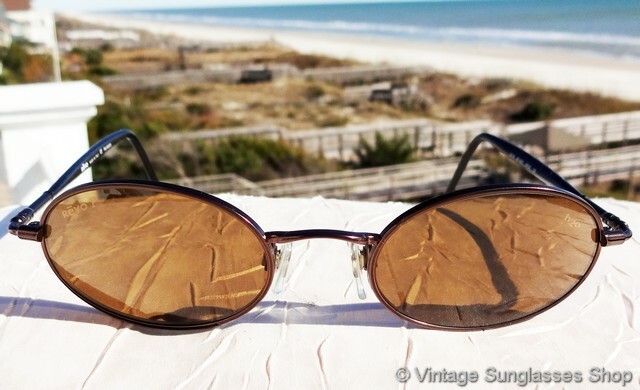 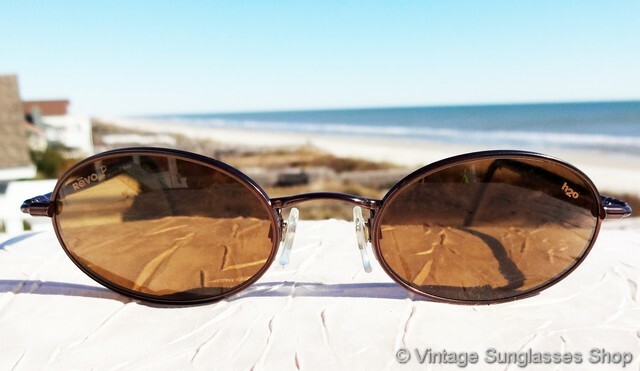 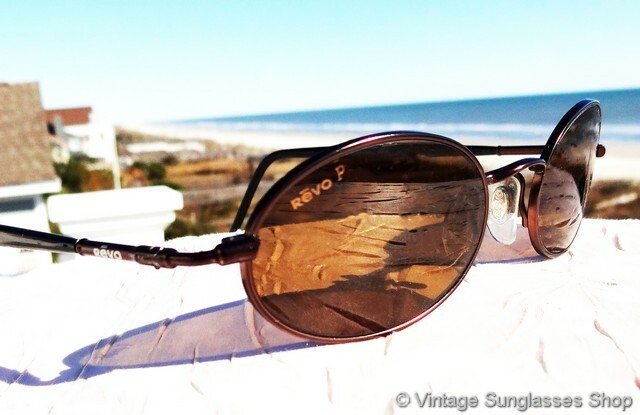 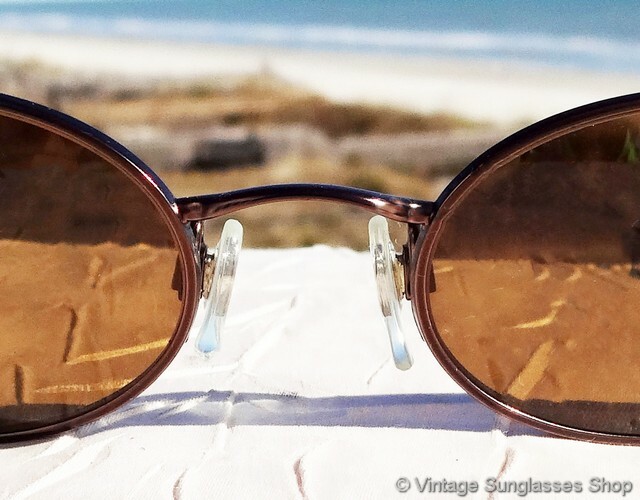 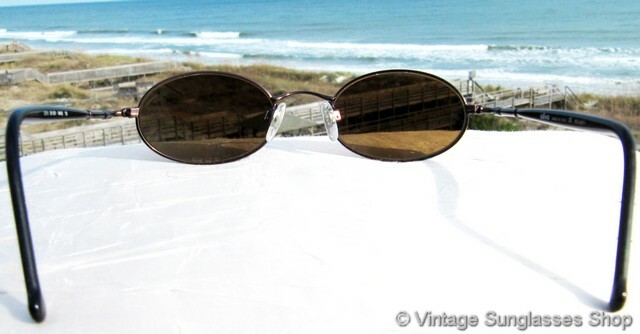 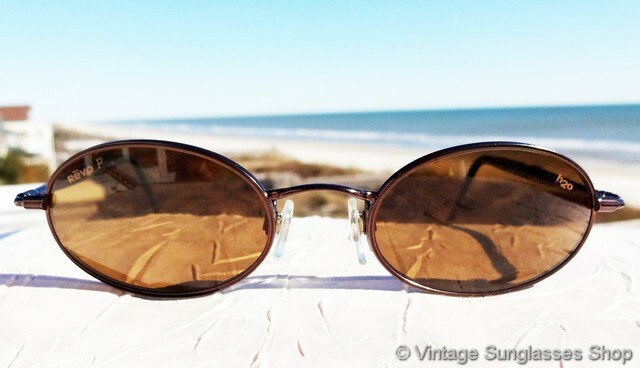 2 Step up another level beyond our already unequaled vintage condition standards with new old stock Revo 3018 081 S/61 sunglasses in mint, unworn condition.